7 X 8 Pourtless canvas painting. Painting is of an old type missionary building with a tree in front, a small stone wall in front with the shadow of a cross on the building. Trees in the background. This is the 2nd Pourtless painting I have submitted. The 1st was appraised by Georg. Deceased Aunt's estate. She spent a good deal of time in her younger years over seas. Thank you for your request. The presented object is a painting made in oil or acrylic paint on canvas with the measurements of 7 x 8 inches. 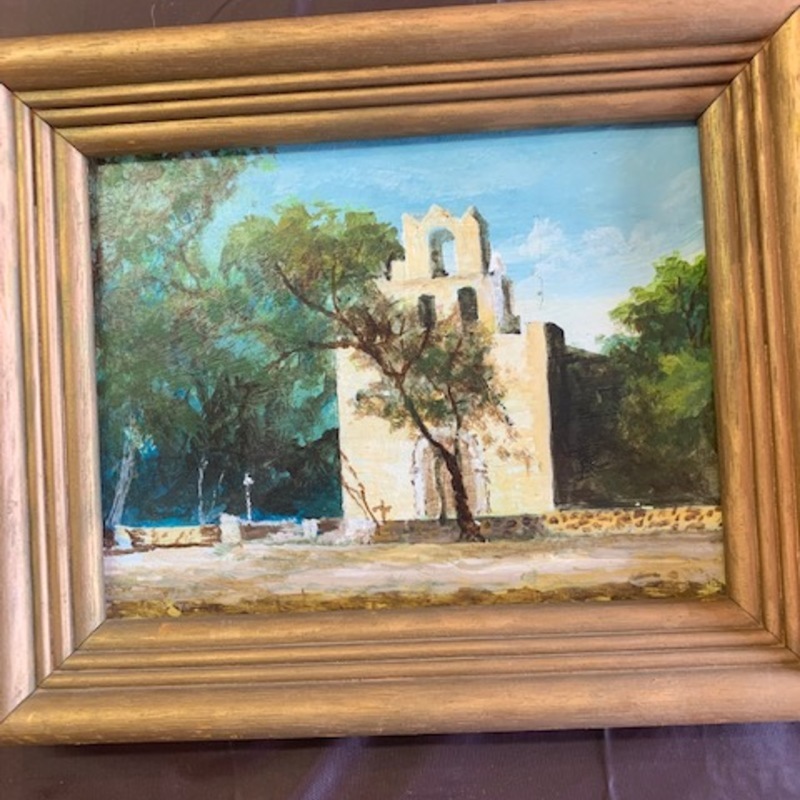 It depicts a view on the Western front of a church with a tree in front of the building. The painting is signed on the reverse side with the name "Pourtless". Sadly no further information regarding the biography of this artist is mentioned in reference books or similar databases. This painting was made in the middle or second half of the 20th century.